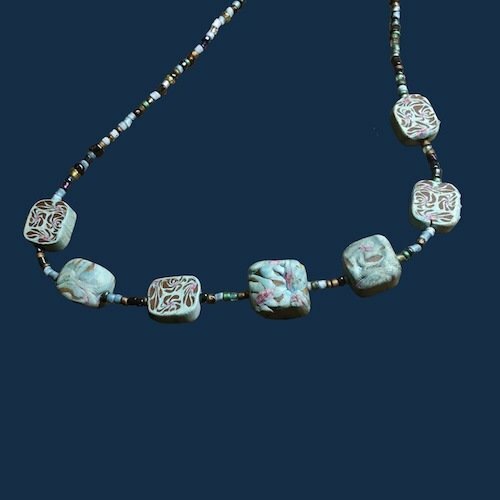 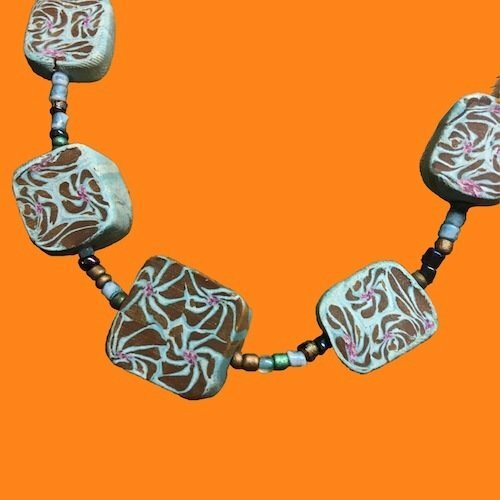 There's an almost tribal feel to this polymer clay necklace, featuring large square abstract handmade beads, each utterly unique, with smaller seed beads in between. 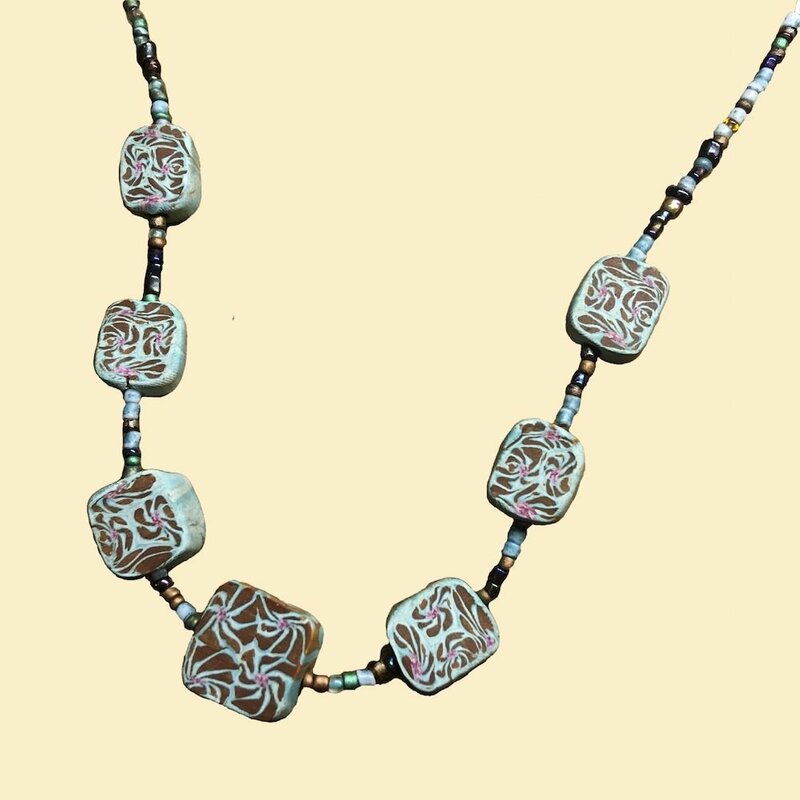 Smaller beads are a mix of manufactures and handmade, glass and clay. 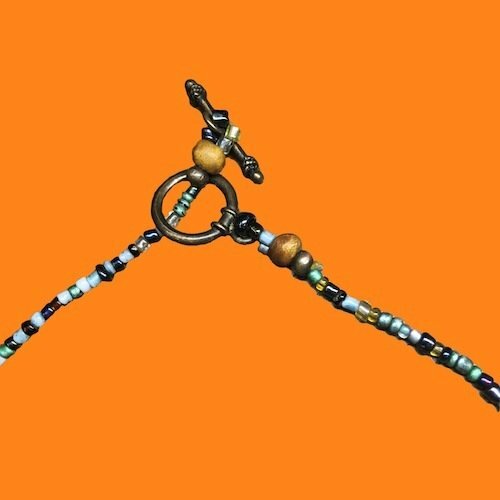 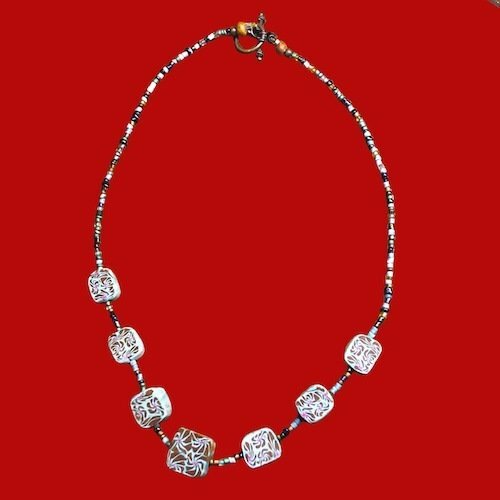 This choker sits just below the clavicle on most people.